Main Street Electrical Parade is nearing the end of its limited-time run at Disneyland park! Don’t miss your chance to experience this beloved parade in the place it began – Main Street, U.S.A., at Disneyland park – now through August 20. Since its first performance at Disneyland park 45 years ago, Main Street Electrical Parade has become the iconic Disney Parks nighttime parade, even traveling across the country to delight guests at Walt Disney World Resort. Take a look through the years of the parade in the video below! See Main Street Electrical Parade once more at Disneyland park, now through August 20! 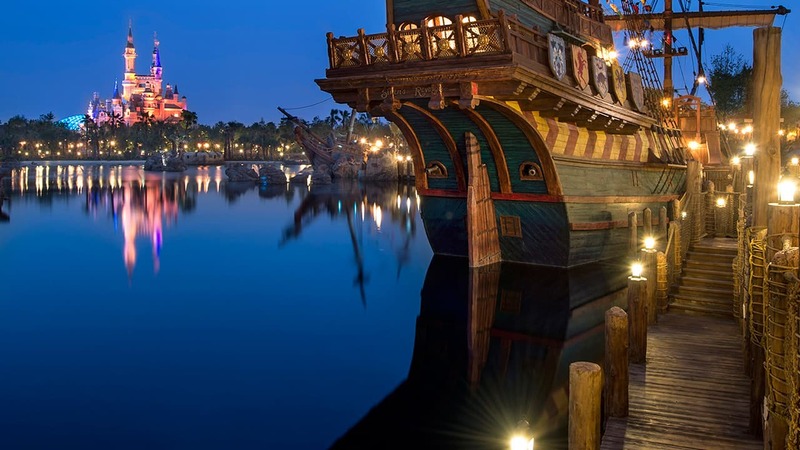 Bring it back to the Magic Kingdom – nights there are woefully lacking without it! We miss it tremendously! I would like to know what is going to replace it or is anything going to. My family will be in Disneyland from the 23rd to the 27th of August. We were there the “final night” it ran at Disneyland when my daughter was still in stroller. We followed it to the Its A Small World gate with the rest of the joyous party, and chanted “ONE MORE TIME” with everyone. I don’t care that we bought bulbs when it “glowed away” the first time. Money donated to a good cause. I was more than delighted that it came back to life in California Adventure, although it never quite felt right there. It was comforting to know that, as a person of a certain age, one of my fondest childhood memories had not only been shared with my child, but also was still glowing on, though far away at WDW. I can admit that when we managed to squeeze in a park visit that first weekend of the return to Main Street, my video work shakes, because I was in big, ugly, happy tears to see this beloved friend return home. This is true entertainment, which strikes this amazing chord in my heart, no matter how silly and bouncy it may be. It carries the essence of all my childhood dreams and joys, and I am grateful to be able to revisit my childhood, and my daughter’s childhood, remembering many nights shared with thousands of sparkling lights and electro-synthe-magnetic, musical sounds. It’s silly, I know, but it means the world to me. I hope this is only a short goodbye, dear friend, and that we see you again, back on Main Street where you belong. I will (and have) followed you across the country. Glow on! Will the paint the night stay at Disneyland. The D23 announcement actually did not have anything to do with the Electrical parade. At D23, all that was announced was that the Pixar Play Parade would move to Disneyland, (for “Pixar Fest”) and that Paint the Night would be coming to California Adventure. The Electrical parade already extended its run earlier this year, it does not need to extend its run a second time. Even back in the 70s and 80s, the Electrical parade was seasonal, and not presented every day of the year. I am hoping the Main Street Electrical Parade will be extended at Disneyland until the end of the year. Any chance of that happening? Hopefully, it will return to the Magic Kingdom. We miss it! We love the Main Street Electrical Parade. We saw the midnight showing of the parade last September, on my birthday, in Walt Disney World It was magical. I’m so glad we were able to see it in Disneyland just a few weeks ago. I hope that will not be the last time. The Main Street Electrical Parade holds a very special place in my heart. PLEEEAAASSSEEE let it stay longer!!! My kids saw it for the first time recently and just loved it. They have been begging me to see it again but our passes are blocked. Please 1 more month or even until the end of August?? ?? I was present at the premier of the MSEP 45 years ago and was so happy for it’s return (saw it twice during it’s current run!). I hope it doesn’t go in to permanent retirement and will return at some point. Thank you for bringing it back to Disneyland! MSEP is the absolute best parade Disney Co. ever created. I sincerely hope this is not the last time we will ever have an opportunity to see it. I hope the parade floats are not being destroyed. It is the best parade Disney has and should be performed regularly at DLR or Magic Kingdom. Many of us here in Florida would be thrilled if it returned. I thought the parade was staying in CA? Wasn’t this the announcement at D23 when they announced that Paint the Night is moving to DCA? With Disneyland footing the bill for the refurbishment of the parade, shouldn’t it stay here a bit longer? Any chance of a live broadcast online? Will Paint the Night be returning following the ending of Main Street Electrical Parade ahead of its DCA 2018 debut? What’s happening to the parade after August 20th??? Will there be a Glowing away party and/or will they be selling the lightbulbs again as a final farewell?